Most of us probably aren’t nimble mechanics when it comes to diagnosing whatever troubles our cars may be having — even though we know those weird knocking sounds means something is up, but we’re not sure what. But what if we could use artificial intelligence to do the prognosticating for us instead? 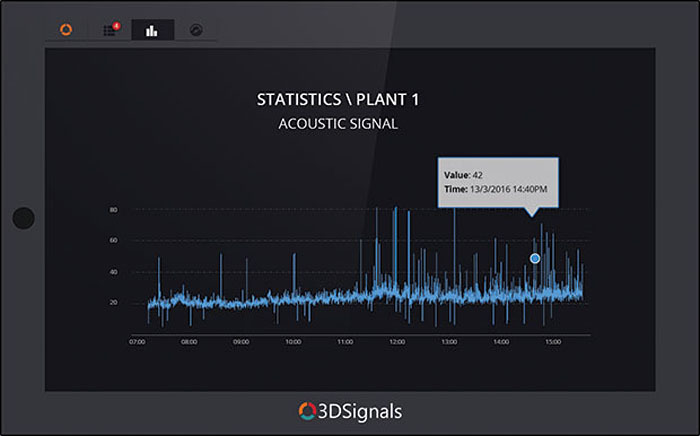 With the aim of preventing serious breakdowns before they become a costly problem, Israeli startup 3DSignals is using artificial intelligence to ‘listen in’ on a machine’s performance and to warn users when repairs are needed or anticipated. Similar to larger companies like Google or IBM, 3DSignals is using deep learning techniques to ‘train’ what is known as artificial neural networks, or collections of artificial neurons that are loosely modeled on the structure and function of the human brain. Researchers prime these AI systems by feeding them large amounts of training data, prompting the system to learn and master certain tasks over time. But while we’re hearing about companies developing more human-oriented forms of artificial intelligence that pop up in everything from image recognition, disease diagnosis to even software that can create passable pop music, 3DSignals is taking another tack by using those same tools to help diagnose what might be wrong with machines themselves, with a long-term view on developing a more well-rounded, artificial general intelligence that’s proficient at more than one task. 3DSignals’ business model offers three levels of services that clients can sign up for. The first level doesn’t incorporate deep learning but utilizes basic physics modeling to predict when equipment might begin to deteriorate. The second level involves the installation of ultrasonic sensors that are capable of registering sounds up to 100 kilohertz — well above the human range of 20 hertz to 20 kilohertz. 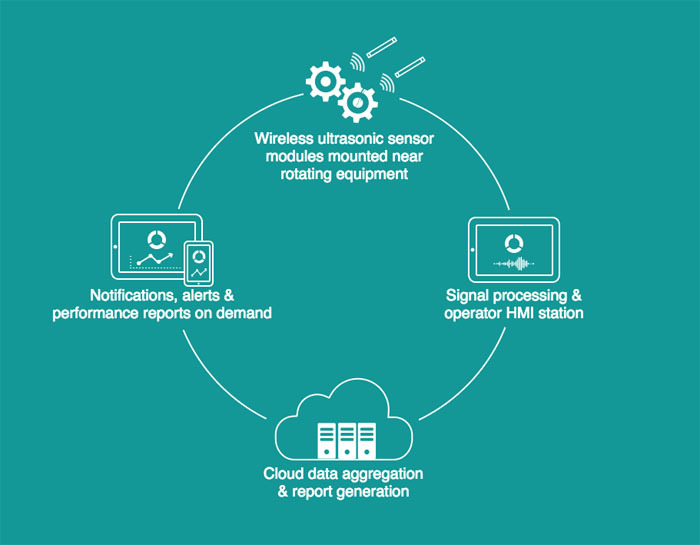 The company provides an Internet of Things-styled service that connects all these sensors to an intermediary device that collects all the data, which is uploaded online and used to train 3DSignal’s AI to recognize simple mechanical problems. The third level of services exploits 3DSignal’s deep learning algorithms more fully by actually identifying more specific problems as indicated by different sounds. Either way, the company claims that its system can pinpoint or predict issues with 98 percent accuracy, and machine operators are sent real-time alerts on their devices in the event of a problem. The company describes itself as providing a “predictive maintenance” service that could be used in industries, power plants and even consumer products. As seen in the video above, a factory that uses a saw blade could monitor any changes in the sound of the blade in operation. Minor discrepancies in the emitted sound due to moderate wear and tear could trigger the system to automatically signal operators to change the blade ahead of time, prior to a major failure, saving money and eliminating potential downtime. The same benefits would apply to a maintaining say, a fleet of self-driving cars where fare-paying passengers are less consciously involved in the day-to-day operation of the vehicles. The company is already discussing with carmakers in Europe about incorporating their technology in the auto manufacturing process, as well as bundling it in autonomous cars themselves. If the company succeeds, its system could be one of the many artificially intelligent systems onboard that would assist with safety, navigation, automatic detection of pedestrians and communication between driverless cars in a vehicular wireless network. As with all these technologies, securing them against hacking and protecting users’ privacy while the microphone sensors are rolling remains an issue. In any case, the idea of having something that makes machines less inscrutable and easier to maintain is a pretty enticing one — not to mention potentially saving companies and the clueless masses a lot of headaches.